Twitter's partnership with Google is an opportunity to increase your company's visibility. Optimizing your website for keywords, building links and publishing great blog posts aren’t the only methods you can use to improve your website SEO. You can also leverage your Twitter account. Did you know that Google and Twitter have a strong partnership? 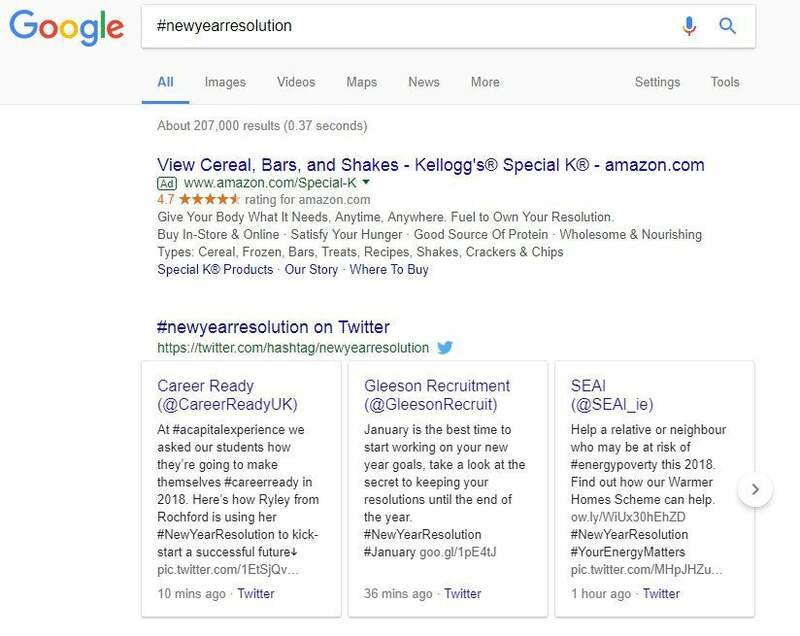 This partnership gives Google access to the Twitter stream, allowing the search engine to index tweets in its search results. This gives Twitter a key role in search engine optimization. How can you use this to your advantage and use Twitter to improve your Google rankings? We’ll show you. If you want to see how Twitter affects website and brand visibility on Google, go search for a brand name or a website on Google. You’ll see the Twitter stream of that particular brand pop up on the main page of search results showing the latest tweets from that page. You can also try searching for a hashtag on Google. Many people search hashtags on Google to discover content on social media. Guess which platform always comes on top when you search for a hashtag on Google? The Google-Twitter partnership has given the micro-blogging platform an edge over other social networks. Needless to say, if you’re looking for new ways to improve your website SEO, Twitter is the platform where you should start your campaign. The importance of social signals. Even if your Twitter content is not indexed by Google, there are many other SEO benefits to using Twitter to promote your website. One of them is to build social signals toward your website and blog posts. Contrary to popular belief, most SEO experts agree that the number of social shares referring to a link increases its value and influences higher ranking on Google. Simply put, the more shares you get on Twitter and Facebook, the more likely it will be to increase your website search rankings. In addition, you can also use Twitter as a tool to boost SEO in many other ways. Here’s how. 1. Automatically share your blog posts. Twitter now boasts more than 330 million monthly active users. You have a chance to reach this massive audience through your brand or business Twitter account. Not only that, you can also let Google know that you have an active website and blog by consistently tweeting links to your website to improve social signals. Of course, when you’re managing a website and a blog, it can be tough to find the time to tweet about your website throughout the day. Thankfully, there are tools you can use to automate your Twitter sharing. You can connect your blog to your Twitter account using WordPress plugins and tools to automatically send a tweet whenever you publish a new blog post. Some of those plugins and tools include JetPack for WordPress, Twitter Auto Publish, Dlvr.it and IFTTT. 2. Re-share your evergreen content. Tweeting your blog post links once is not enough to generate social signals toward your website or let Google know that your links are worth ranking on the top of search results. So you need to consistently generate more shares for your blog posts and pages. You can do that by scheduling tweets to be published every day throughout the month. There’s no need to hire a social media manager for that job. You can use a tool like Buffer instead. With Buffer, you can schedule your blog posts and links to be published on Twitter and Facebook according to a time schedule that you create. You can pick the best times to share the evergreen content on your blog and schedule the links to be shared on Twitter through each week. Just remember not to spam your followers. It’s OK to send the same tweet more than once, as long as you don’t do that within the same day. 3. Leverage Twitter handle and profile bio. The bio in your profile and the Twitter handle you use to create your account also play a strong role in improving website SEO. 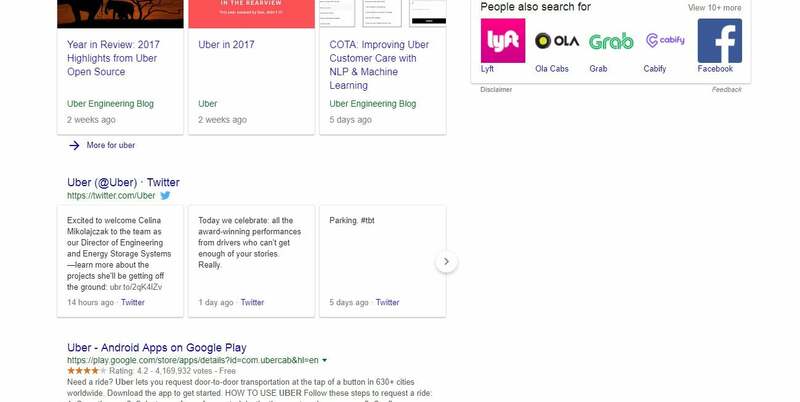 People who are interested in following a brand or a product on social media often search for Twitter accounts on Google (eg: Uber Twitter). Google will use the brand name as a keyword to search Twitter to find similar accounts with the same Twitter handle. Make sure your account uses your brand name as the account username. Properly optimizing your profile bio will also help get your Twitter to rank higher on Google. Including an effective summary of your brand or business with the right keyword hashtags will make your Twitter profile more discoverable as well. 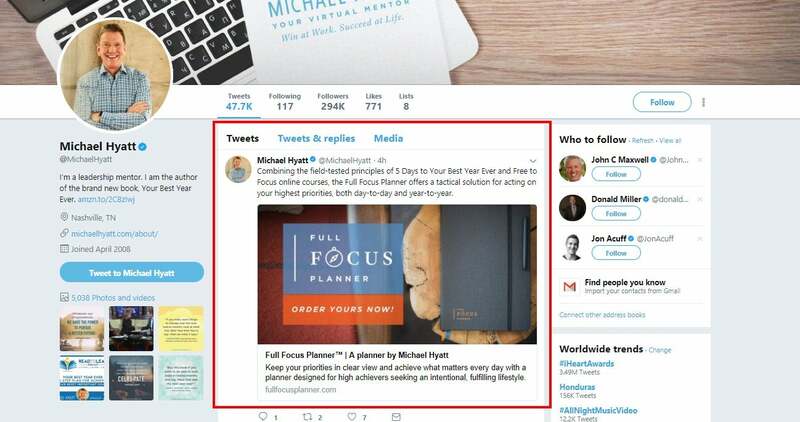 Then, you can use a pinned tweet to drive leads to your landing page to turn those profile visitors into subscribers and grow your email list. Be consistent and keep promoting. Every marketing strategy requires an investment. So invest in it as much as you can to improve your website search rankings. More shares mean more awareness for your brand and better for website SEO. Keep sharing your website and blog post links on Twitter consistently to achieve the best results.